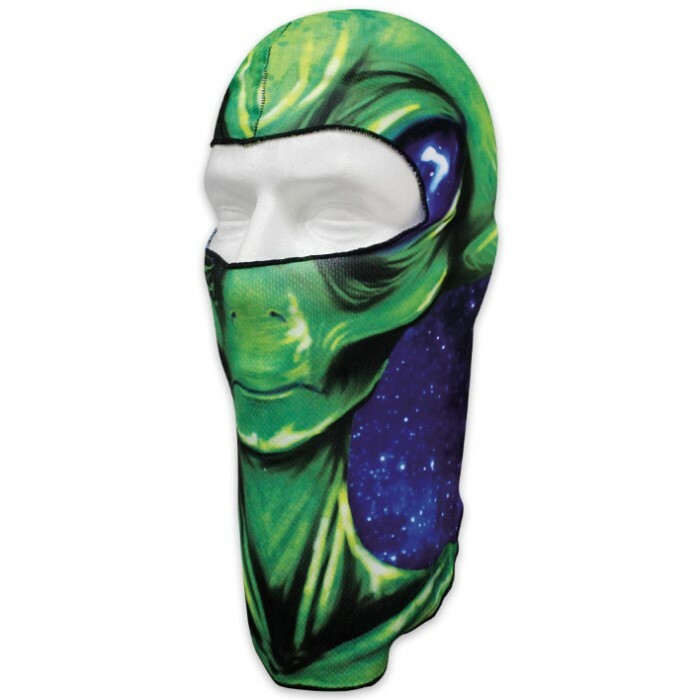 Our Alien Fleece Face Mask is perfect for protecting your face and neck against the elements, especially when you’re on your motorcycle. It is made out of breathable fleece and has vivid, original graphic artwork depicting a green alien head that wraps completely around the mask. It can be worn with or without goggles and one size fits most. The facemask fits well. I just took off one star because the alien face isn't centered properly. Other than that, it will serve its purpose. Thanks BudK!